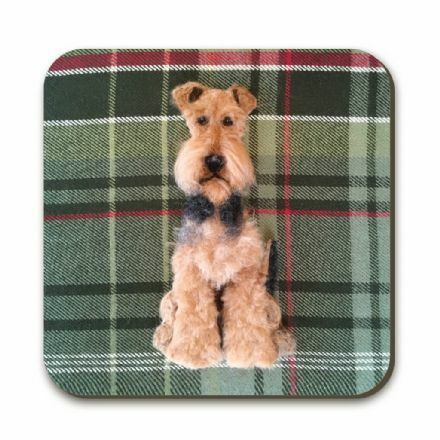 Airedale Terrier Coaster by Sharon Salt. Includes a non-slip cork base. 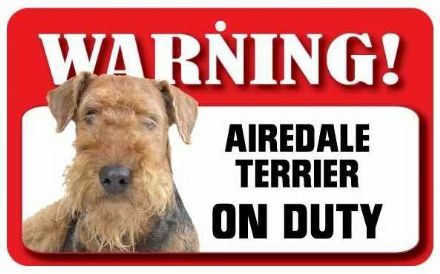 Airedale Terrier Pet Sign would make a great gift for the owner of this popular Breed of dog. Terriers Coaster. 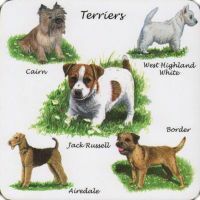 Featuring Cairn, West Highland White, Jack Russell, Airedale, Border. Perfect gift for a Terrier fan.